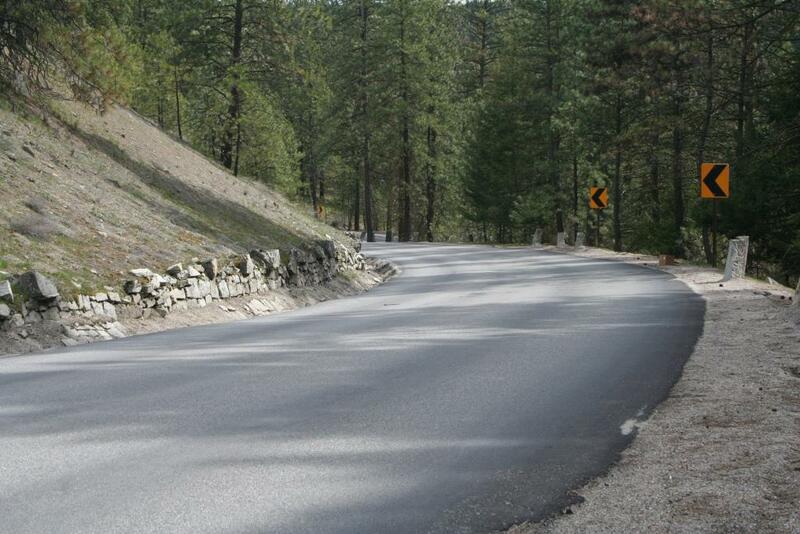 Naturally occurring in the Spokane area, granite is used in the foundations and construction of many buildings in the region. 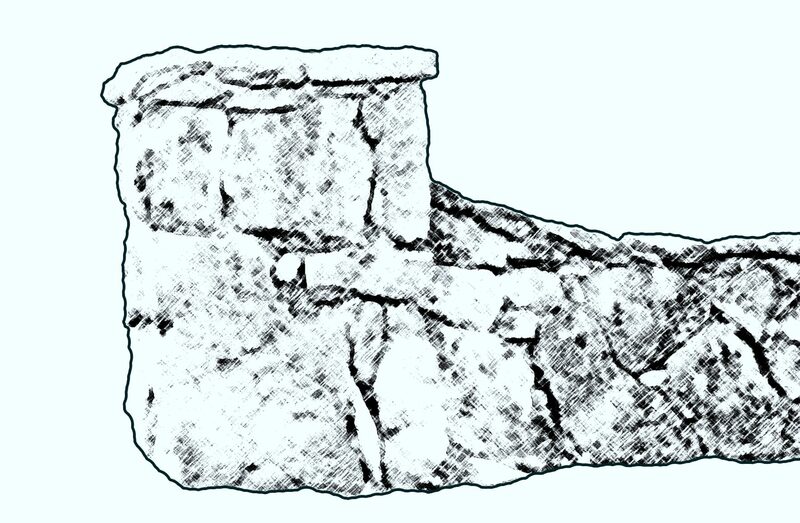 The use of granite in the early decades of the 20th century required a high level of skill related to the cutting and shaping of the stone into usable blocks for construction. 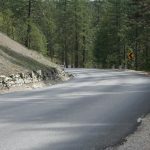 Much of the granite used in the Spokane area originated from three parts of the region; north of Spokane near the Little Spokane River, the west side of the county in the Airway Heights and Medical Lake area and a third in the Dishman Hills area. 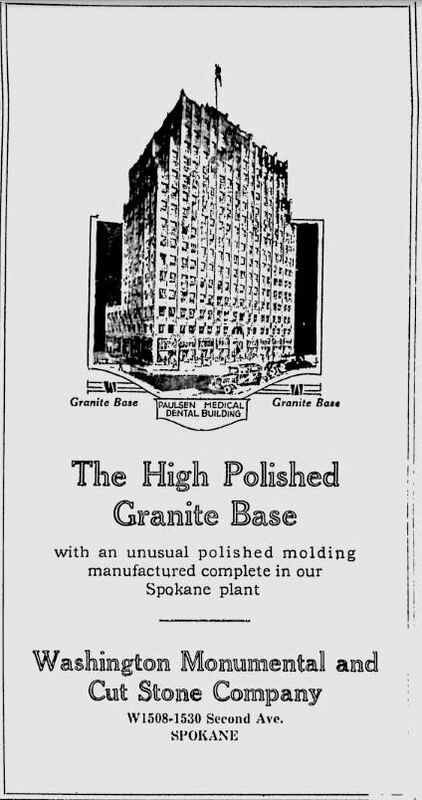 Much of the granite used in the area is not easily visible due to the use of the strong stone in the foundations of many downtown Spokane buildings. 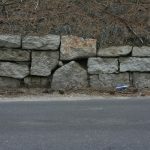 In comparison to the number of properties created using basalt and cobblestone construction, there are few buildings that prominently feature rough cut granite as the dominant building material. 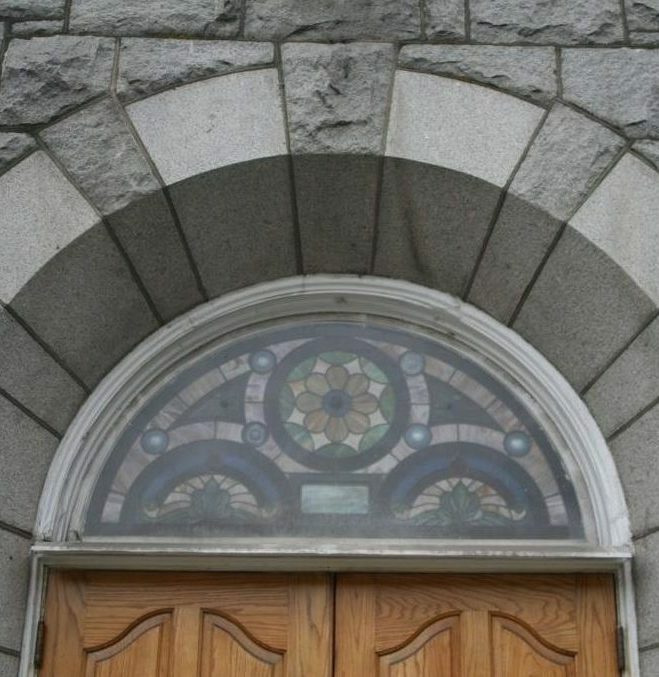 Used more commonly in grand buildings, such as Westminster Church, or decorative additions, it is difficult to spot granite construction in the Spokane region. Standard Atlas of Spokane County 1912, Pg. 161; G.A. Ogle & Co. 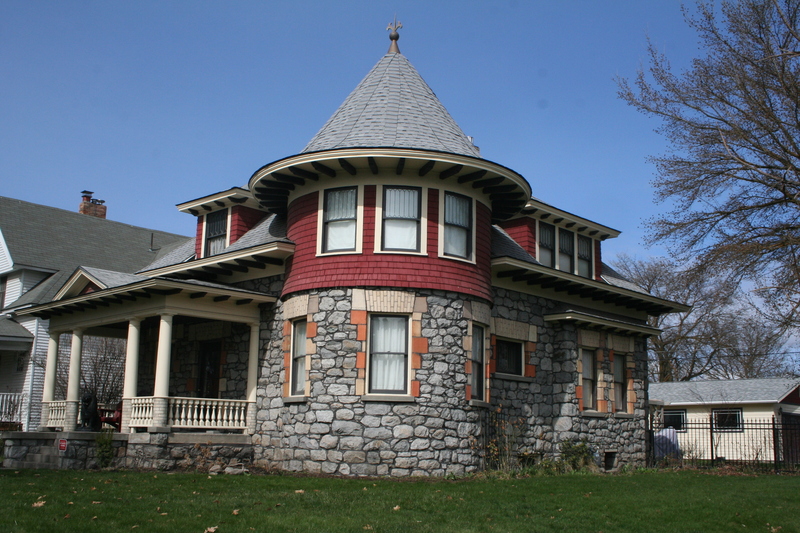 Featuring a large circular turret on one corner, this home is one of the finest examples of granite construction in the area. The exterior walls of the ground floor are constructed entirely of rough cut granite stones held together by skillfully hidden mortar. 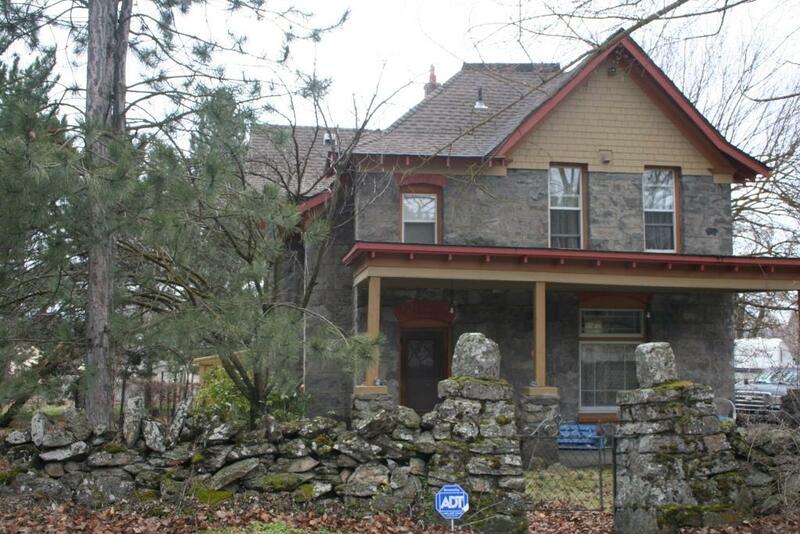 Granite half walls extend from the front of the house to support the porch that faces Nora avenue. 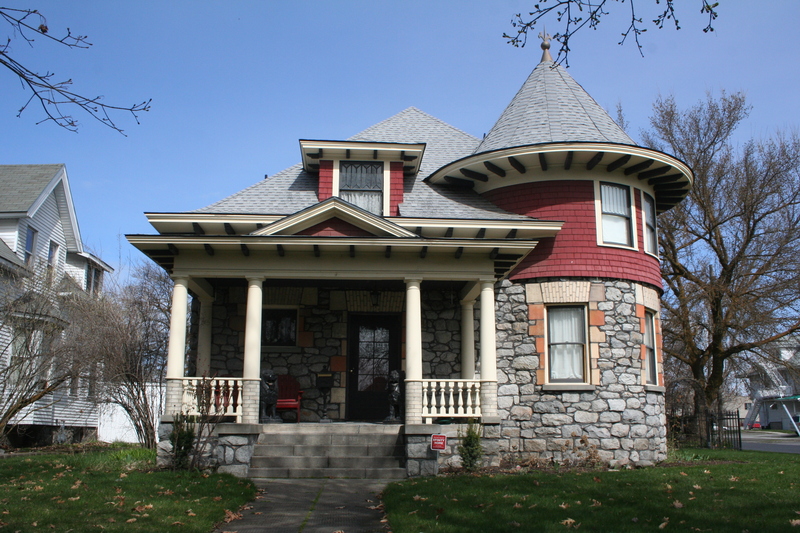 Built in 1906, this home is a mix of Victorian and Queen Anne styles with identifying features located in the towering turret and enclosed eves of this grand stone home. 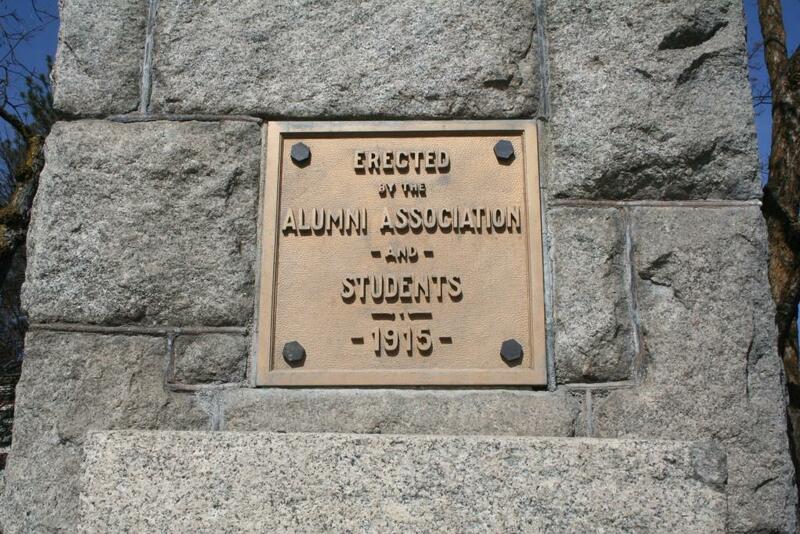 Built of large granite blocks, these two pillars flank the entrance to campus used by those arriving on foot from the local railroad depot in the early decades of the university. 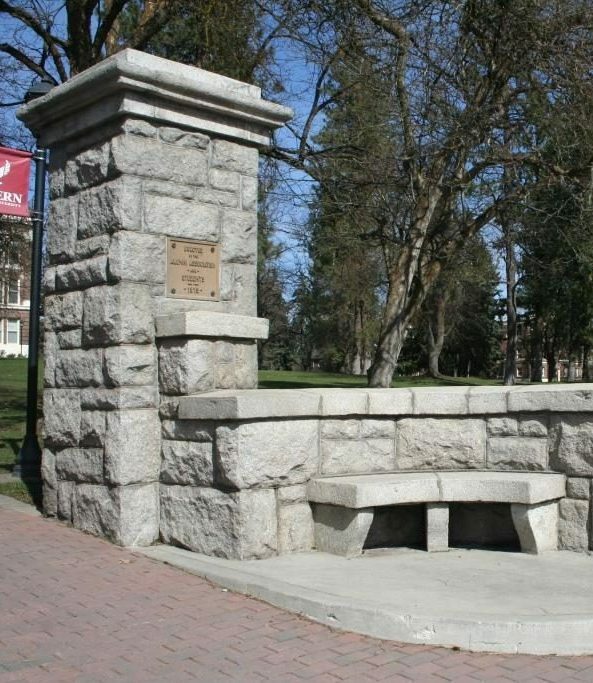 The granite blocks used to build the pillars and attached benches were salvaged from the Cheney Normal School, which was destroyed by a fire in 1912. 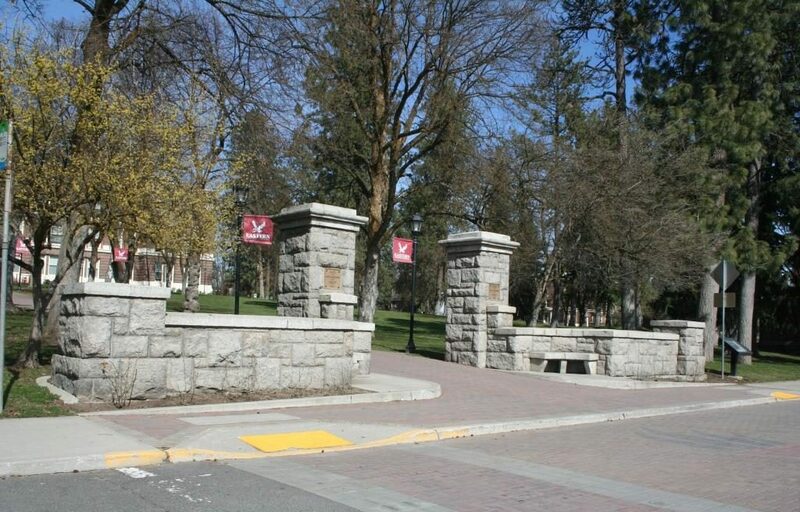 This regal granite entrance to the campus is valued for the vast amount of history that accompanies both the stones and the structure itself as well as the symbolic connection the entrance provides between the city and the school. 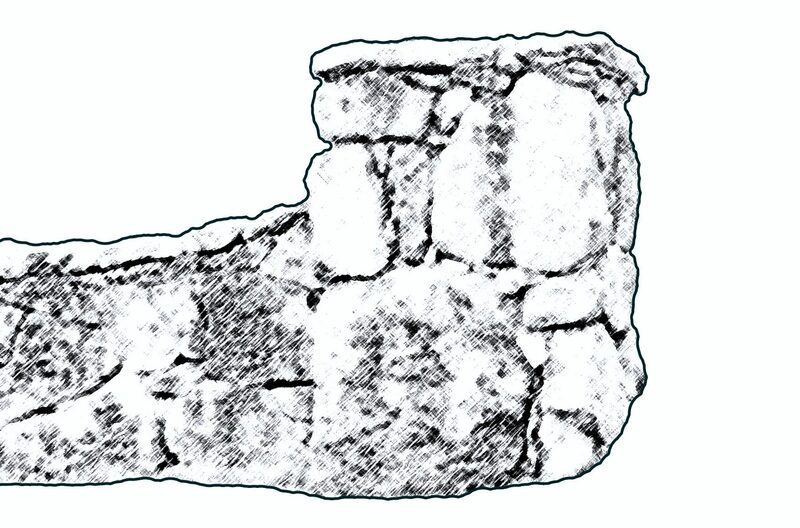 Though the building includes multiple types of stone, the bulk of the walls are formed using granite blocks, possibly from a nearby quarry. 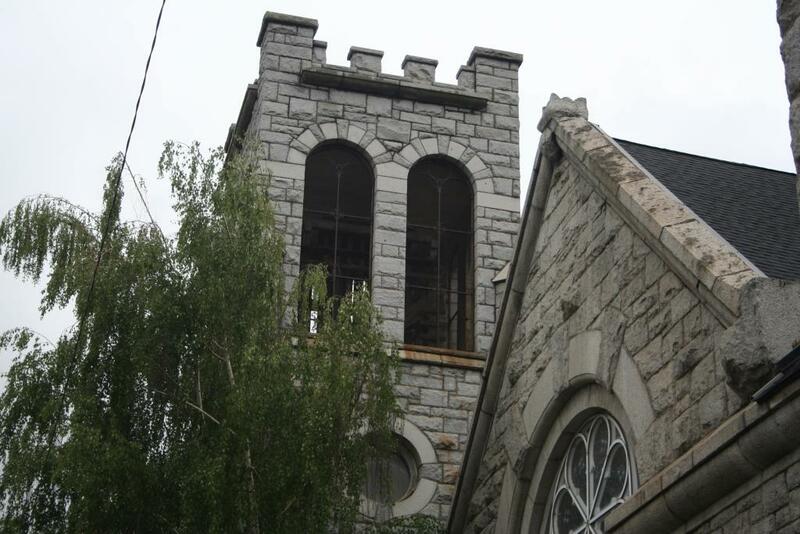 The original structure, built in 1890, remains largely intact with small additions that occurred in the early 20th century. The wings that can be seen on the sides of the building, used at one time as park restrooms, are not part of the original footprint of the building. Built by Edgar J. Webster on a large parcel of land outside of the city, Webster lived in the building for a short time before moving inside city limits. The land immediately surrounding the building was turned into a park and the granite structure is now used for storage. 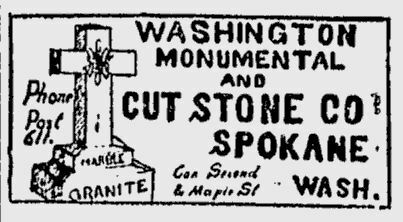 One of the multiple area quarries, the Washington Monumental & Cut Stone Company provided stone used in construction throughout Spokane county. 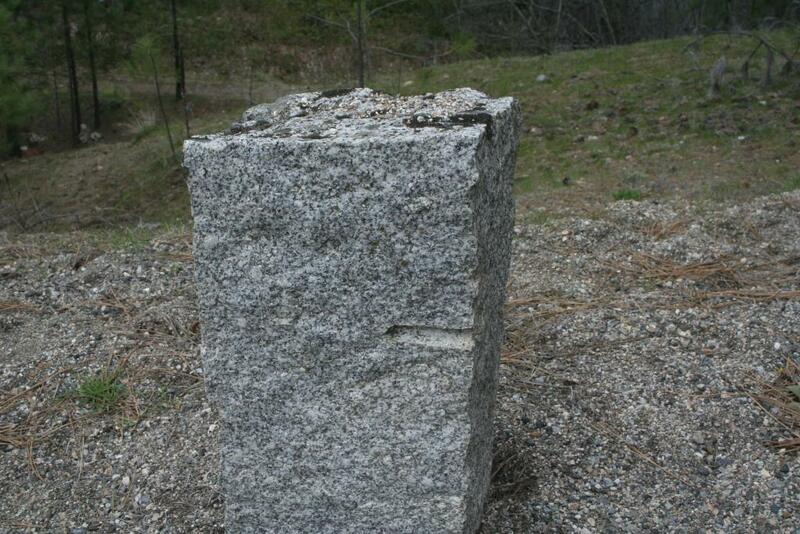 Located along the banks of Silver Lake west of the city of Spokane, granite from this quarry was used in many foundations, buildings and monuments in downtown Spokane including the old City Hall building, The Crescent, and the base of the statue of Abraham Lincoln along Monroe street. 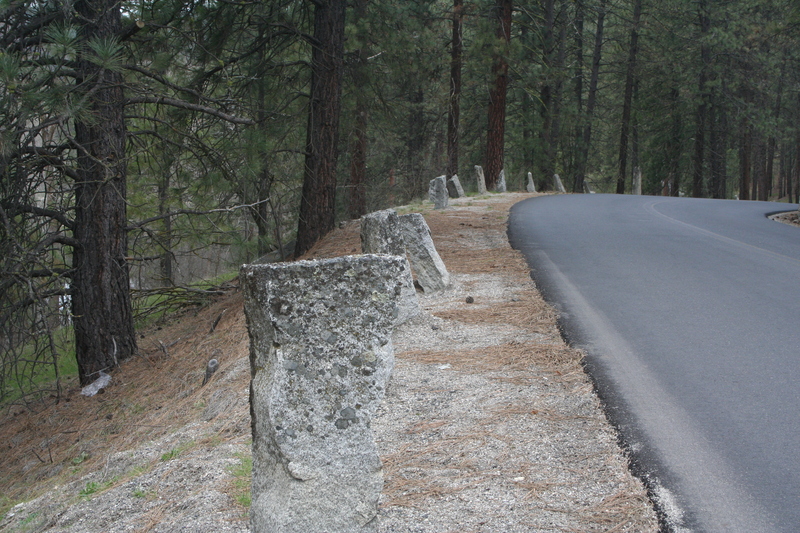 Rutter Parkway, built in 1936 to connect Waikiki Road and Nine Mile Road, is bordered by a variety of granite stones. 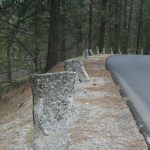 Some of the granite blocks are free standing and act as barriers at the edge of the road, similar to a guard rail, while others are gathered in dry stacked walls. The project was completed by the Works Progress Administration (WPA) with a great amount of help from community members. Equipment was supplied by the county as well as private individuals and materials such as stone and plant life were donated to the project. R.L. 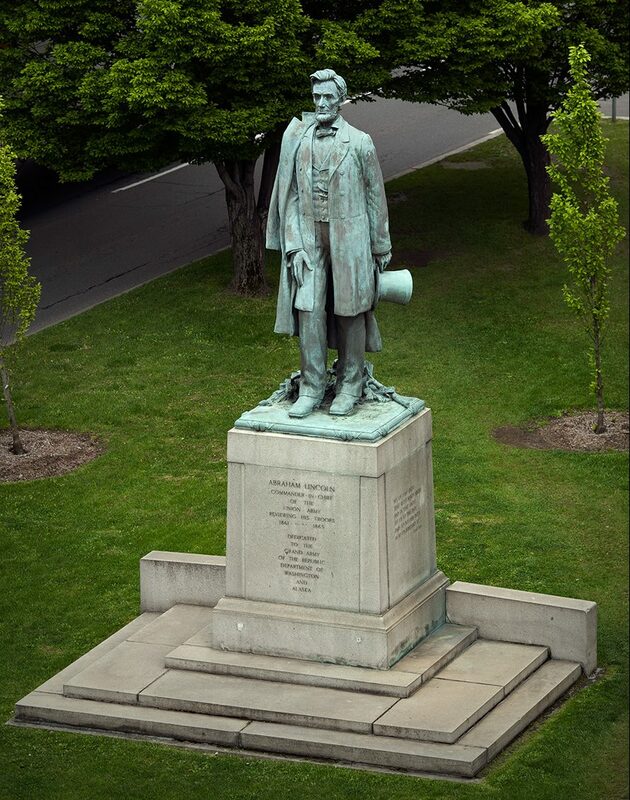 Rutter was one of the largest contributors with his donation of trees and shrubs as well as contributing time at the project site, leading to the road garnering the name of Rutter Parkway in 1937. 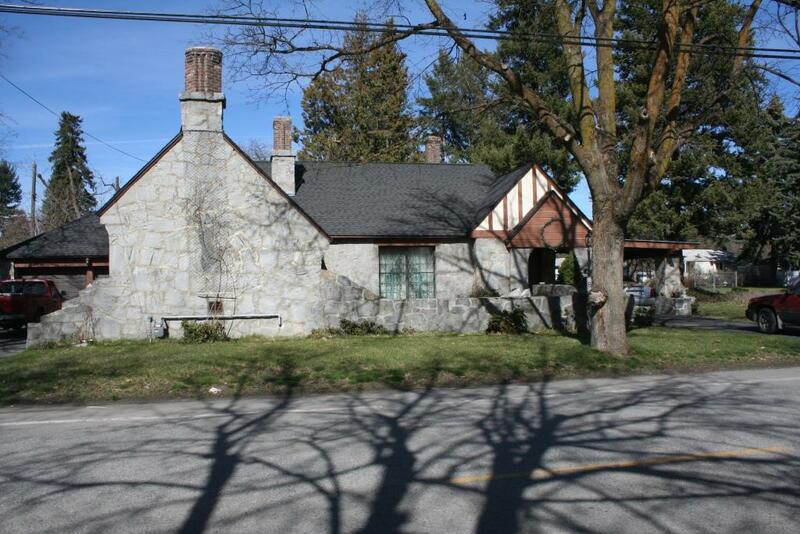 The two prominent gables and large overhanging eaves give this home a very traditional appearance. 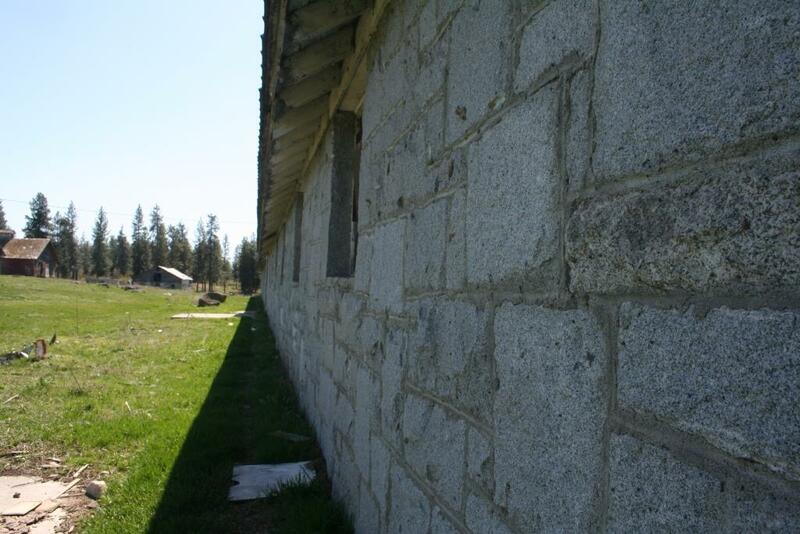 The exterior of the house features granite in the majority of the construction, with stone walls encompassing both the ground and second floor. 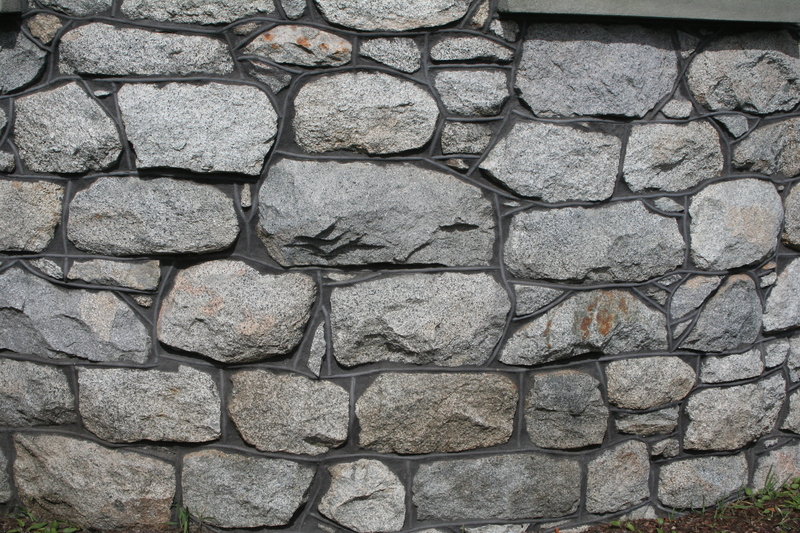 Although granite is widely used in the home’s construction, the piers supporting the posts of the front porch as well as the rock wall along the front of the property are made of basalt rubble. 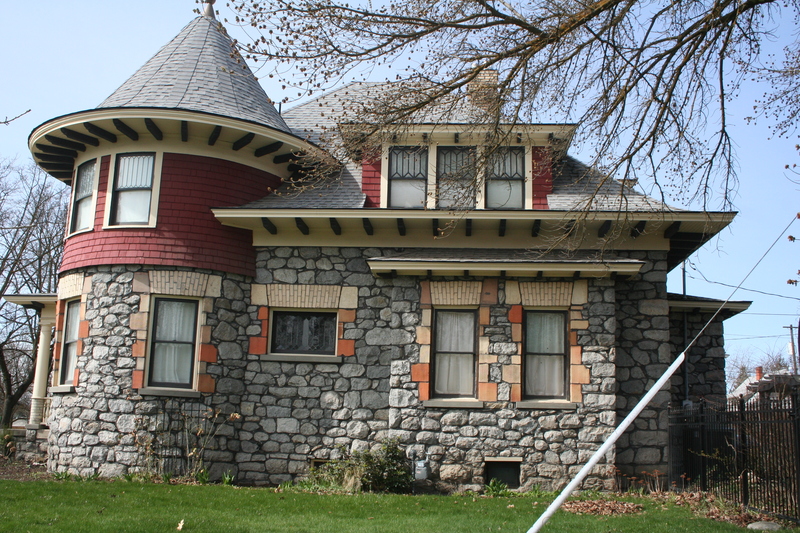 Constructed in 1897, this home is one of the oldest and most intact of the stone houses in Spokane County. 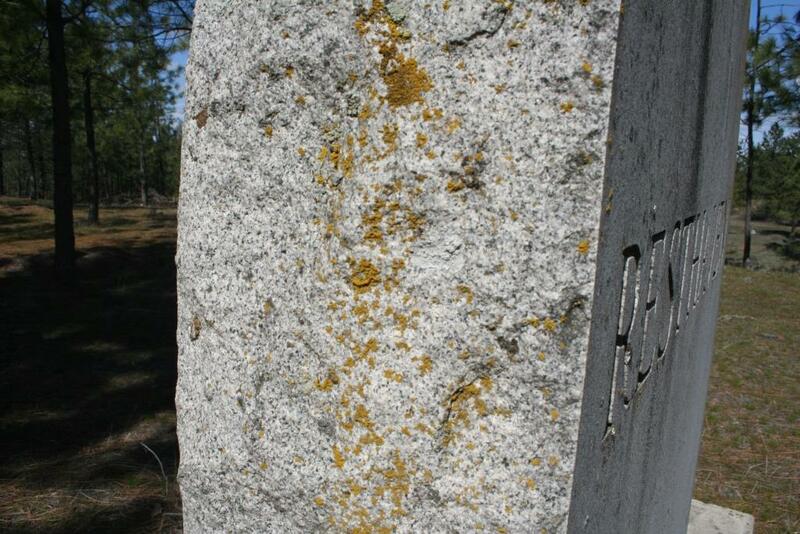 A single piece of polished granite, this marker sits in the Resthaven cemetery as a “Tribute to the Old Age Pension League.” The cemetery is small and holds few remaining markers to identify those who came to rest there. 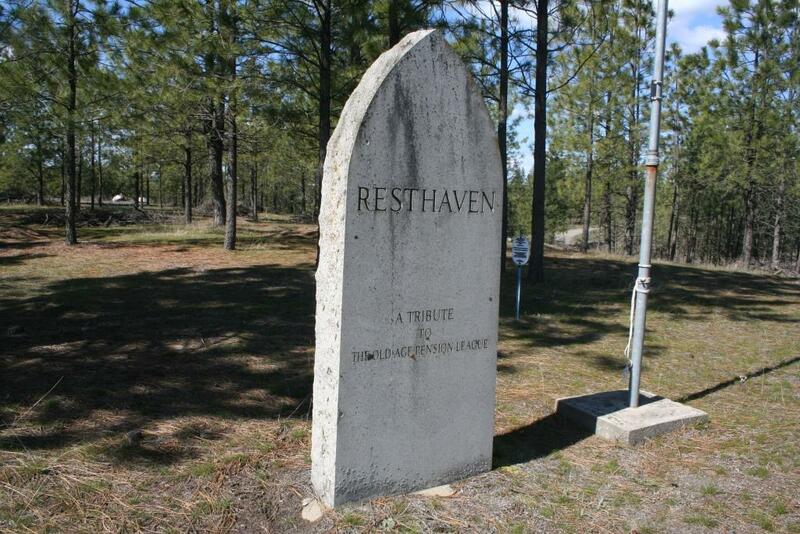 Resthaven was often the final resting place for elderly individuals who passed away while residing in one of the area institutions. The land acted as a cemetery prior to its re-dedication as Resthaven in 1939 at which time the granite monument arrived to identify the site. 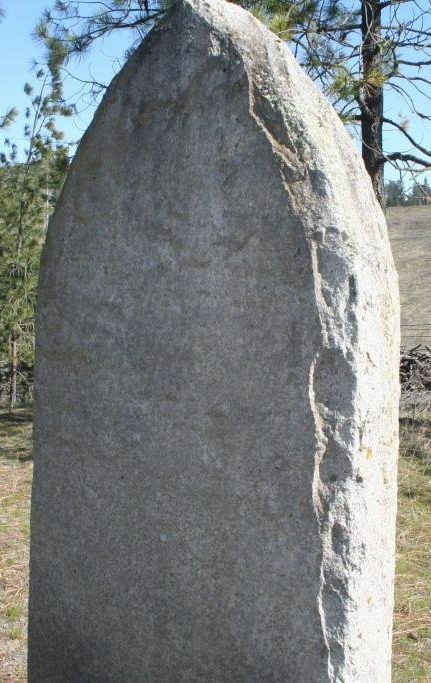 The craftsmanship used in the creation of the stone marker makes it a strong example of a highly skilled stone mason. 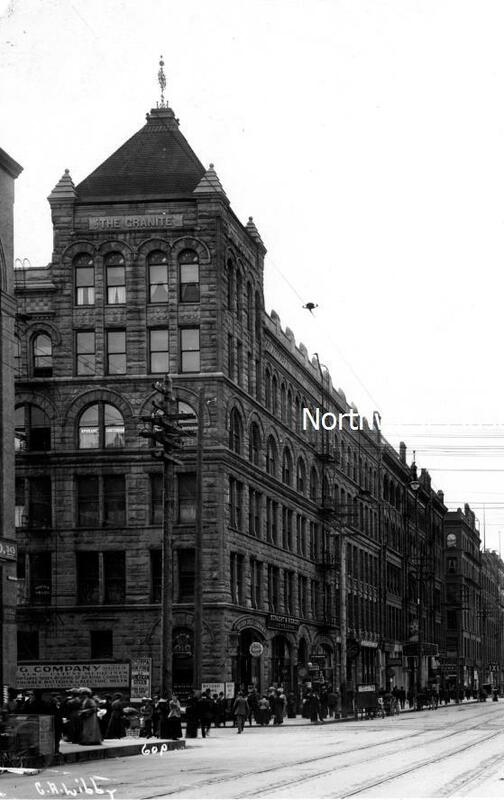 In the early years of the 20th century, the city of Spokane was quickly expanding and evolving. The use of stone from local quarries provided easy access to sturdy building material and allowed local materials to be showcased in and around the city. 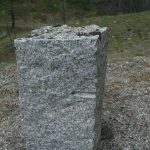 Despite evidence that the local stone was of a high quality and suitable for building, a controversy arose over the use of Medical Lake granite. 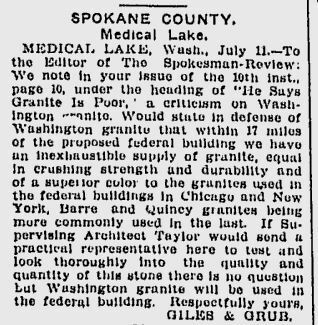 The response to the original article was publish in July 1904 and is signed by “Giles & Grub” possibly of the Medical Lake located Giles Granite Quarry. 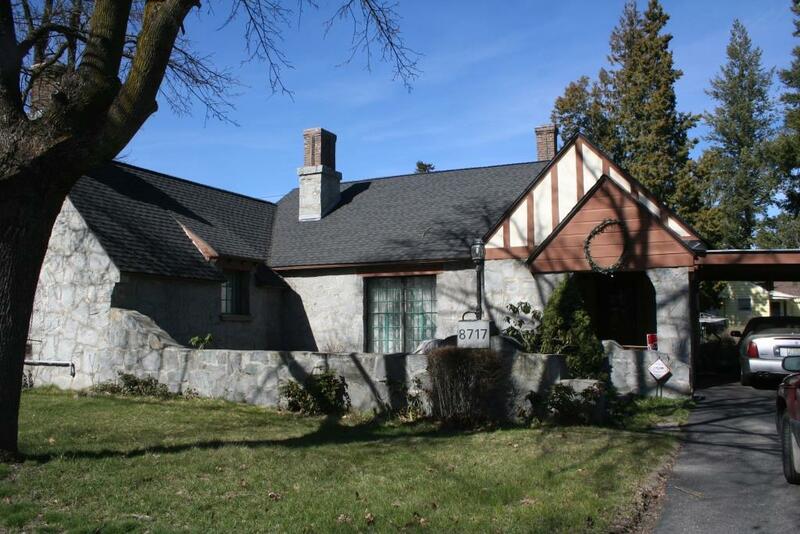 Built in 1934, the walls of this home are made of large rough cut granite blocks held together using visible mortar, a different technique than many other granite structures. 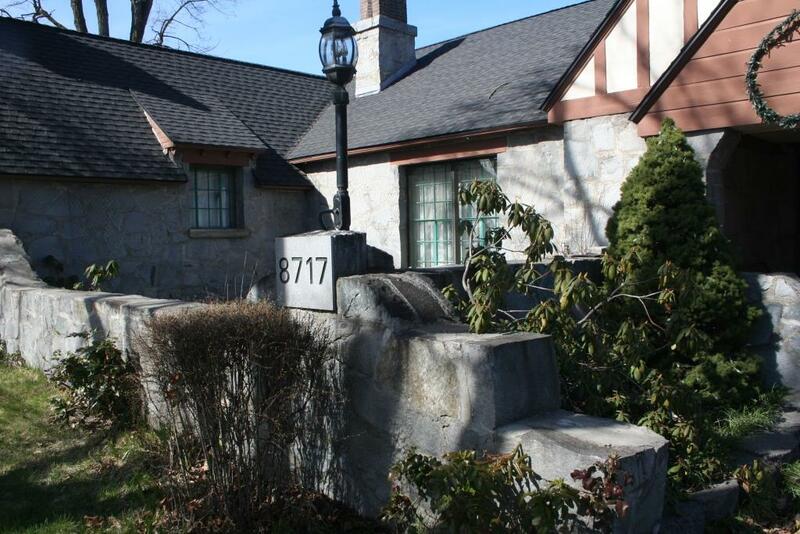 The irregular shapes and size of the stones used in the construction of the home, as well as the nearby garage, create a rustic appearance that seems to predate the 1934 construction. 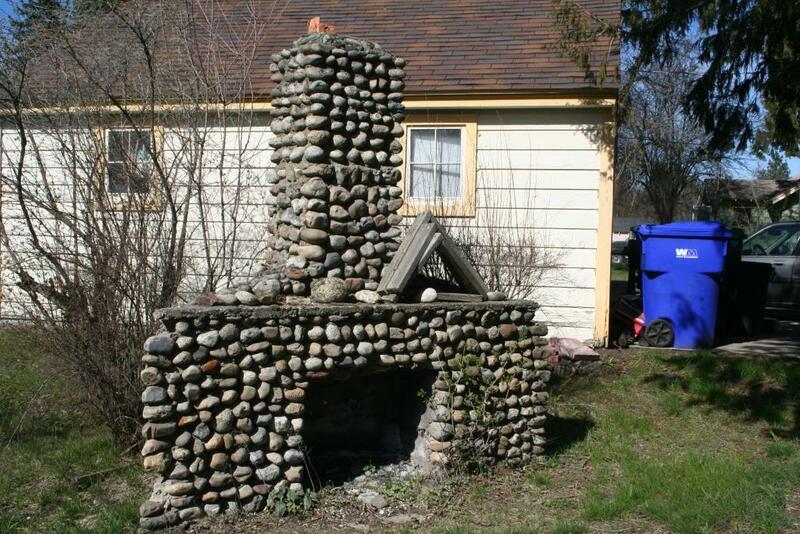 In addition to the granite used in the main buildings, behind the home there is a stone fireplace and chimney made of cobblestones that contrast dramatically with the granite walls. 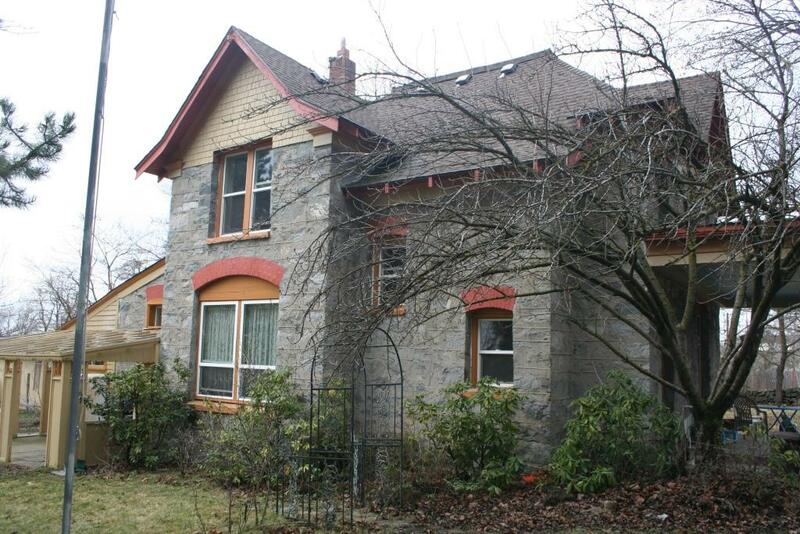 This home was designed by local architect Richard Henry Eddy and is an excellent example of stone construction. 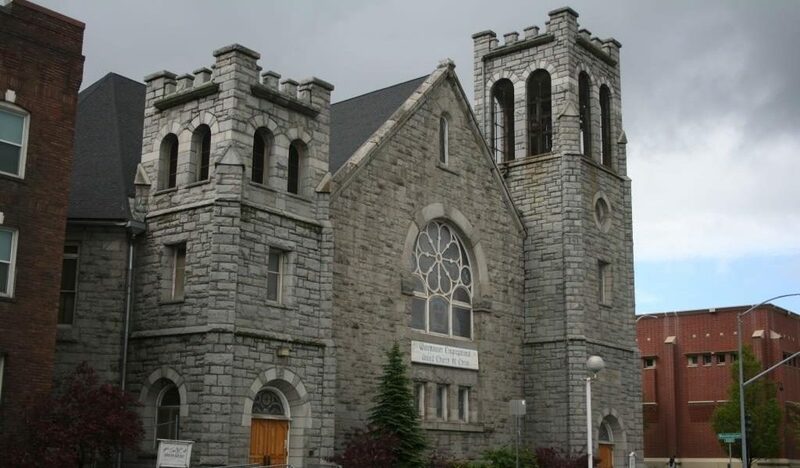 With a traditional appearance, this granite church sits along Washington Street just south of I-90. 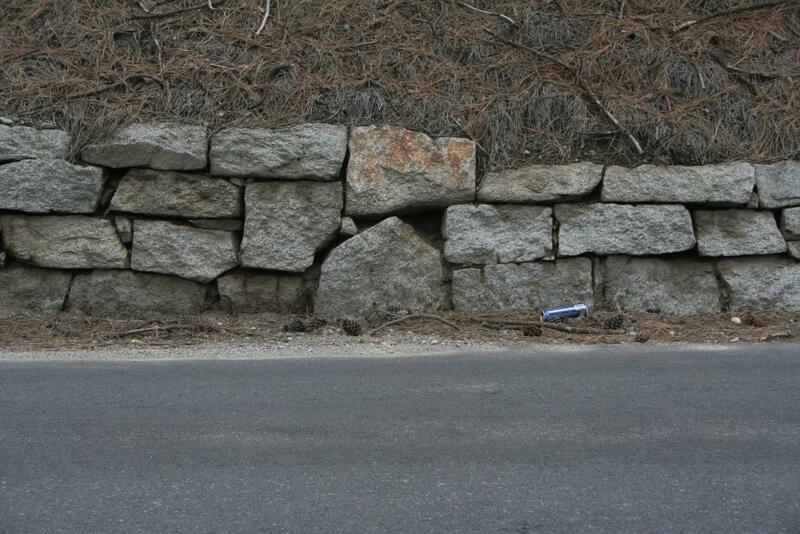 The rough cut blocks that make up the walls are from two different locations and therefore do not look identical to each other. 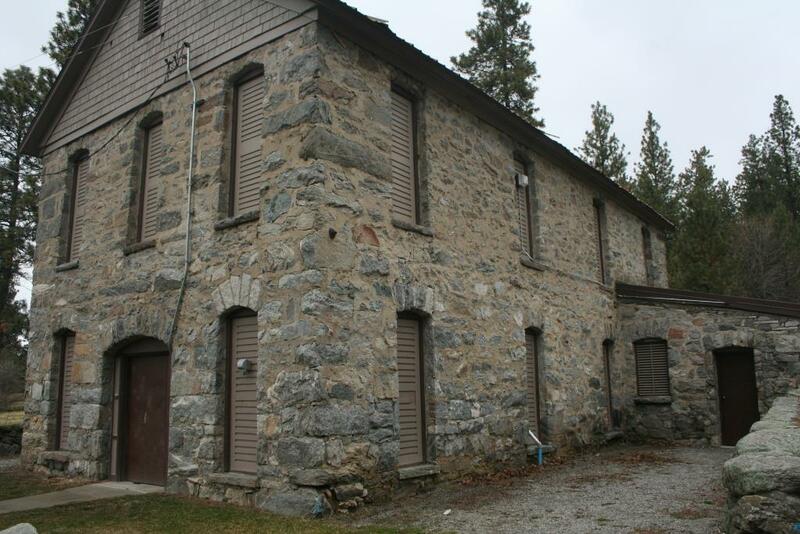 The stones located on the west side of the building are from a quarry near the Little Spokane River and are light gray color. 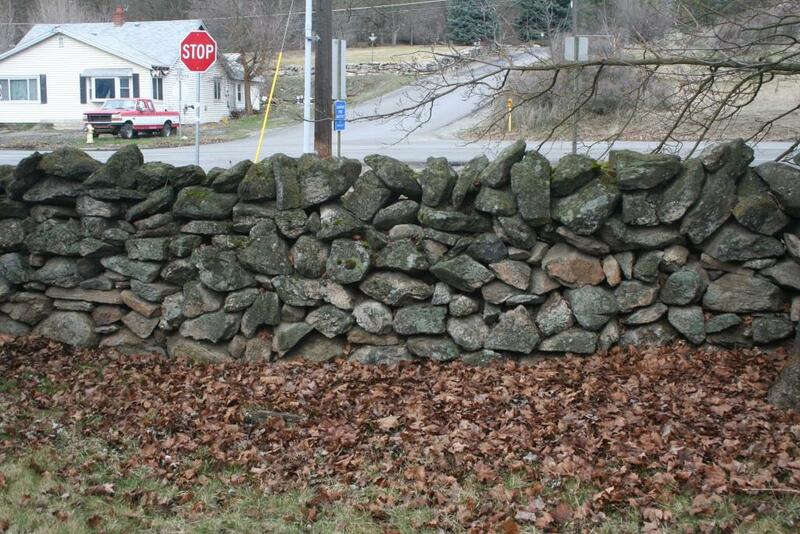 In comparison, the stones of the north wall are slightly more brown in color and originate from the Medical Lake area. The original building was constructed in 1891 with many additions and changes taking place since that time. 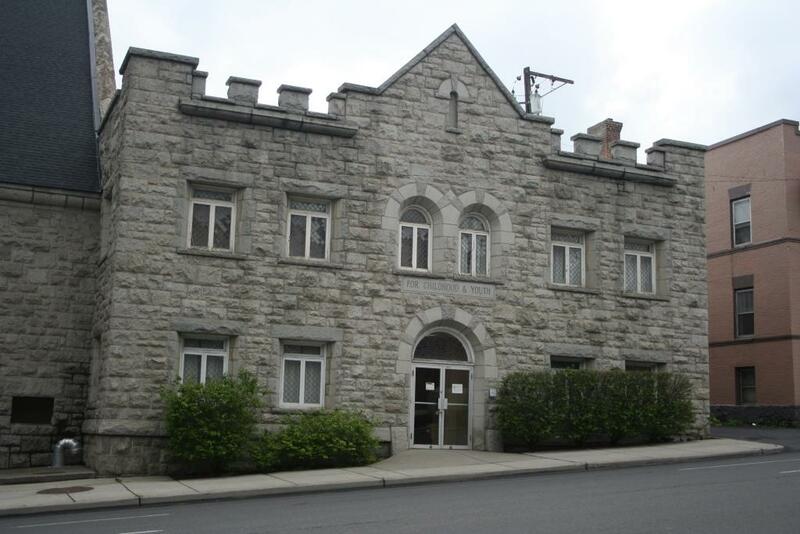 The presence of a state mental facility in Eastern Washington has a long and important history. After considering many other possible locations, Medical Lake was selected as the site of the second state mental hospital, to be called the Eastern State Hospital for the Insane. Construction began in 1890 with the first patients arriving in early 1891. As the number of patients grew, the facilities also needed to expand. The name of the hospital was changed to Eastern State Hospital in 1918 at which time there were over 1,000 residents on the grounds. 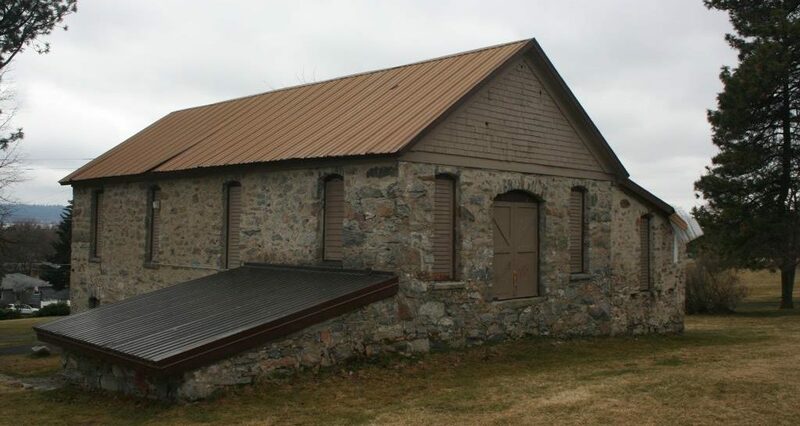 This stone barn was utilized in the farming operations that were undertaken by the hospital in an attempt to provide any necessary sustenance for the staff and patients. 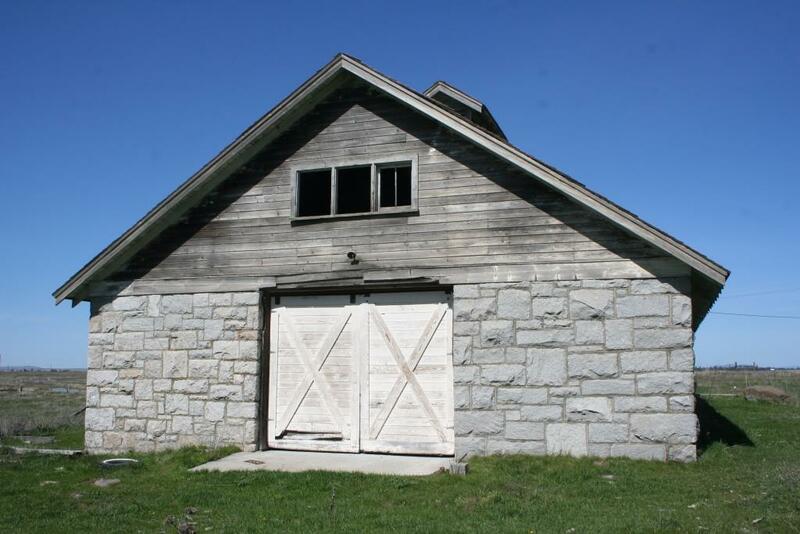 The barn, built in 1930 to hold livestock on the property, was constructed of rough cut granite blocks in random sizes. 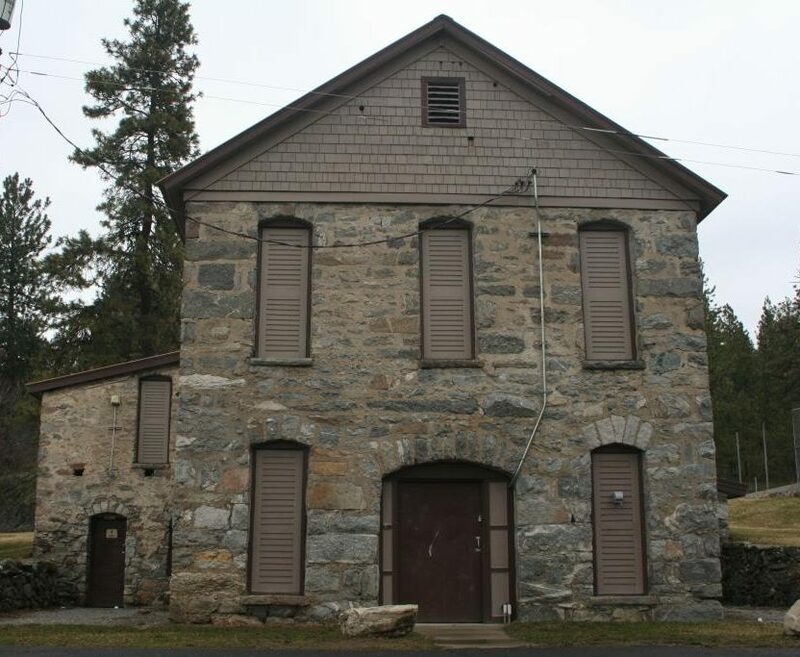 The use of locally acquired stones as well as the connection of the barn to the Eastern State Hospital make this building an important piece of local history. 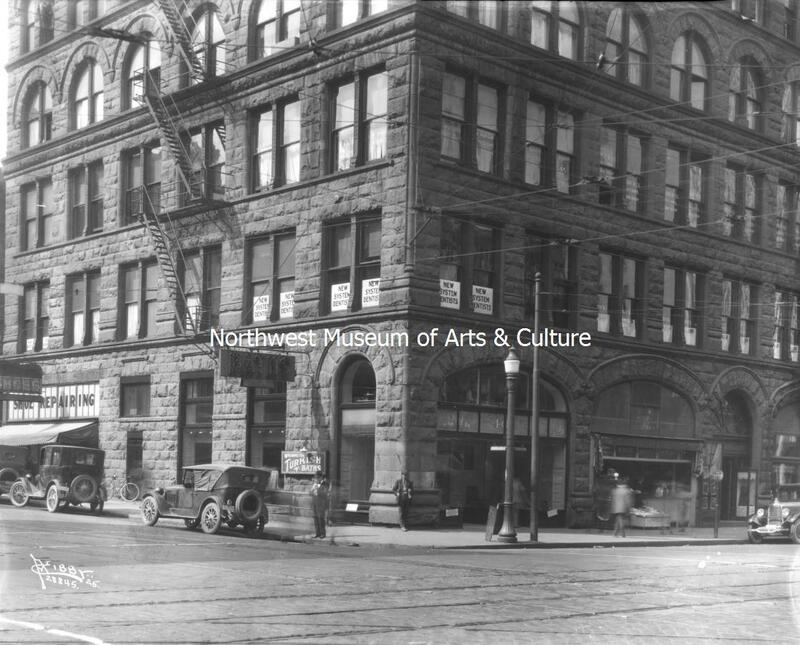 Located in downtown Spokane, the Granite Block occupied the southwest corner of Riverside and Washington until the time of its demolition in 1928. Built in 1889 by the Dutch Hypotheek Bank after the destruction of downtown Spokane by the great fire, the building was purchased in the 1890s by local business man James Monaghan. After Monaghan’s death in 1916, the building was eventually sold to the Paulsen family who owned the building next door. 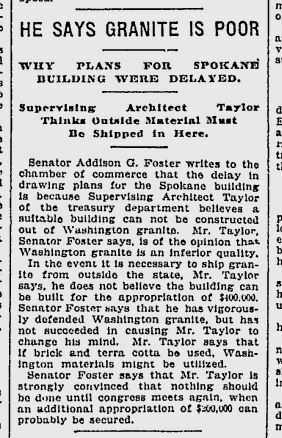 The heavy stone building was carefully demolished and the second Paulsen building, the Medical and Dental Building, was constructed in its place and still stands today.